My incredible ride with the 74th Air Refueling Squadron in a KC-135 based out of Grissom Air Reserve Base (Indiana) on July 21st gave me the opportunity to capture this ultra-cool image of the Barksdale Air Force Base (Louisiana) B-52 that we had just finished refueling. This view was beyond stunning to see in person, and I hope that by making it available to you as a CoolPix, you'll feel a little more like you were there too. If you missed my 56 pic mega-post of the KC-135 ride, you should check it out now, I'm pretty sure you'll like it! Of the 744 Boeing B-52 Stratofortress bombers built, almost 80 remain in service yet today. It's hard to believe that the airplane has been in service with the U.S. Air Force since 1955. Even more amazing is the idea that it's possible that some of them will still be in service in 2040, almost 80 years after the last ones came off the assembly line! 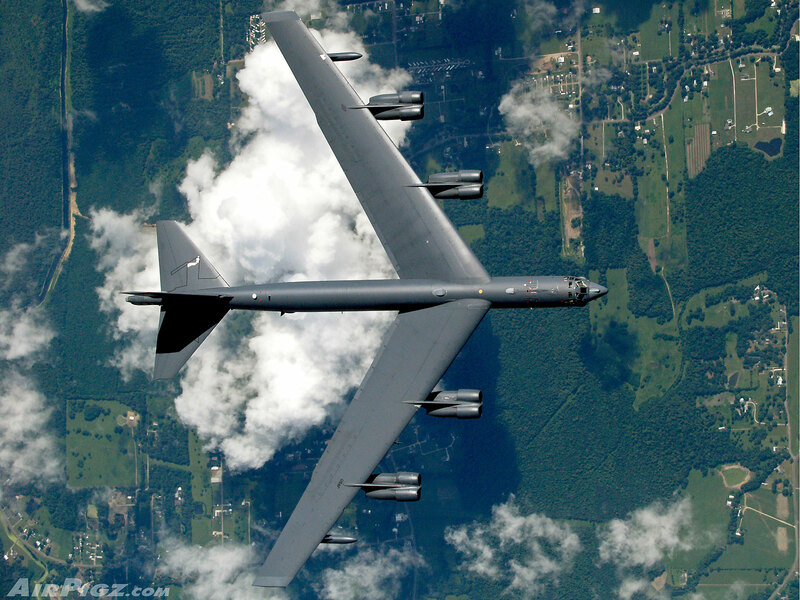 The B-52 is a very important part of the U.S. Military, both past and present. I was very fortunate to be able to see one on this beautiful day, and to capture this awesome image. Enjoy. I think the backcolor is so dark , made me feel uncomfortable.I think you can improve it ,then there will be more visitor!